The Keep Memory Alive Event Center is located in the heart of downtown Las Vegas and is a spectacular architectural achievement. The signature exterior is now a highlight of the downtown revitalized area of arts and entertainment. It was designed by legendary architect Frank Gehry, includes 199 windows in an undulating stainless steel canopy, and is one of the most impressive event spaces in the city. An event at Keep Memory Alive is truly a one-of-a-kind experience, day or night. The center accommodates 400 seated or up to 1500 for a standing reception, and offers opportunities for excellent cuisine, a superior wine selection and exceptional personalized service. In addition to the indoor space, events may also be extended into the breezeway and Gehry-designed gardens. By hosting your next memorable celebration at the Event Center, you help us to preserve memory for others. 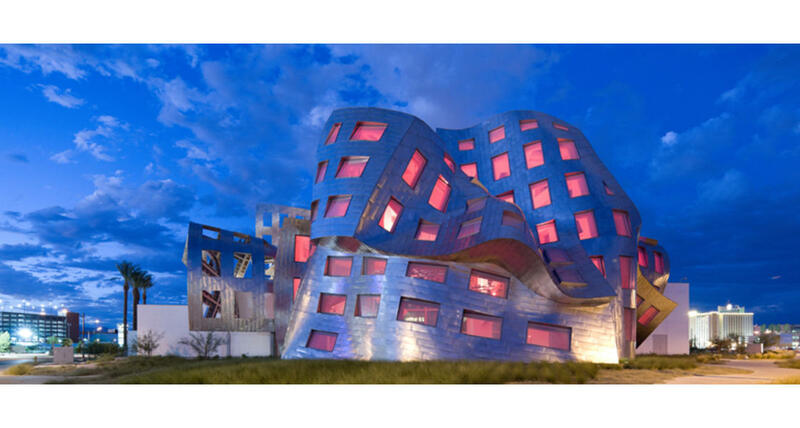 Special event revenues collected by Keep Memory Alive support Cleveland Clinic Lou Ruvo Center for Brain Health's core mission: enhanced treatment, research and the prevention of brain disorders.